During April 4-6, Shenzhen Sopto Technology Co., LTD, the world's leading provider of fiber solutions, participated in the PCTA Convention organized by the Philippines Cable Television Association (PCTA) at SMX Convention Center Manila. As one of the most influential exhibition in Philippines, PCTA has been celebrating its convention with the theme “Evolve” this time, attracting well-known local operators and TV stations, such as Skyline, ABSCBN, AisaVision. There are also many well-known domestic and foreign broadcast equipment providers, such as Galaxy, Cisco, etc. It aims to create a Cable & Communications Industry Technology Summit. Being the fastest-growing country in ASEAN, Philippines has abundant tourism resources. But many industrial products depend on import because the industrial foundation is weak. Philippines has only 20 local companies manufacture wire and cable in there. 90% of wire and cable products and related products depend on import because their relatively backward production processes are and the work-out finance. So it came with PCTA Convention, a professional trade show in Philippines which provides boundless possibilities for the wire and cable upstream and downstream enterprises to develop the Philippines market. In the exhibition, Sopto Technology has attracted quantities of local and foreign visitors who showed a certain interest in Sopto's products and solutions of optic fiber, After customers visited the booth of the Sopto tech, they all expressed that they had felt the excellent spirit of the optic fiber products with the all-around visual experience brought by the physical display, and expressed their approval of the superiority of the technology of the Sopto products. And a further discussion about trade cooperation had been taken. Sopto’s products portfolio covers GON/EPON equipment, Fiber transceivers, indoor/outdoor cables, PLC splitter, Fiber Patch Cord, copper connectivity, Structured cabling system and ODN Products. With the rapid development and wide application of FTTX in the world, Sopto has gradually optimized the end-to-end infrastructure solution for achieving a lower-cost fiber-optic cable access from central office room CO to optical distribution network ODN until the last mile. Sopto's fiber-related products and end-to-end EPEI and GPON solutions meet the needs of next-generation network customization and also protect your future cost-effective expansion needs. Optical Distribution Network ODN is a physical connection platform for a new generation of broadband and Gigabit access networks. Sopto Tech provides a wide range of products with high performance and reliability, while also providing network planning and consulting support for services. In the Philippines, the vast majority of offices and residential buildings are connected by copper wires. PLDT plans to expand the FTH service up to 80% in the Philippines. At the same time, $40.1 million dollars are planned for the hybrid fiber optic network installation in the next three years, for the buildings and apartments which still used conventional telephone lines replacing with super-fast broadband service. 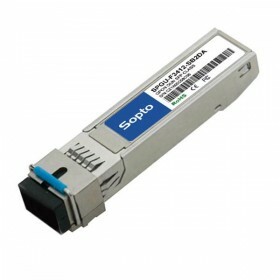 So that buyers always can be found for the optic fiber devices, for this time, FTTX optic solutions manufactured by Sopto is quite popular, a lot of visitors come to inquire for details. With the assistance of local agents, local PCA representatives and official representatives came to visit the product display and gave high praise for Sopto’s products this PCTA exhibition. The future development of sopto in Philippines and even in Southeast Asia will be further exploited which is of great significance. Headquartered in China, Shenzhen Sopto Technology Co., LTD aims to serve the worldwide customers with the best products and solutions through continuous technological innovation and to deliver better professional fiber optic solutions subscribers all around the world.